Primo, Servo Dummy, Servo Waiter, Borg Stiff, Mime Artist. Servo Dummies are unique moving mannequins that move slow precise robotics, synthesised with a servo motor effect with each movement. Because of this unique sound effect, many people believe the Servo Dummies are real 'human-like' robots covered in rubber flesh. Servo Dummies provide an unusual and unique attraction for exhibitions and conferences. They are also useful for themed events, with an appropriate costume to suit your event; whether it be Halloween or even Christmas or any other theme, Servo Dummies can dress the part. 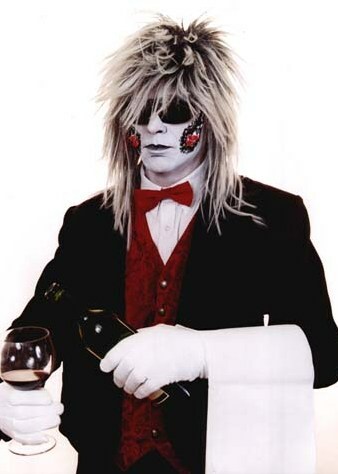 The Robotic Waiter is another unique & fascinating character created by Rob, capable of handing out or topping up those drinks to your guests, or pass around canapes or food samples or leaflets to potential customers. 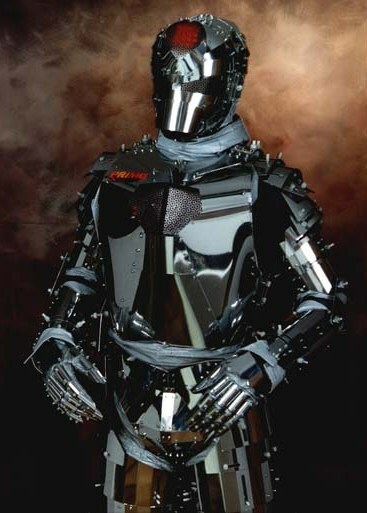 This character is smartly dressed in 80s style robotic image with servo motorised sound effects synchronised with each robotic movement. 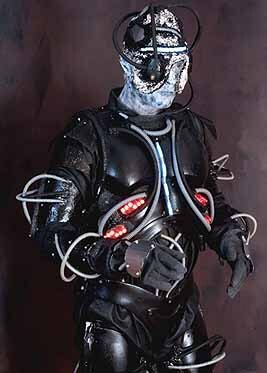 If Sci-Fi is more your thing, check out Borg Stiff; he is based on the Star Trek characters 'the Borg' and is very much in demand for all types of events. He comes complete with functioning light displays, servo motor sounds and a professional robotic artiste, to bring the Borg presence to life! All this and YES! batteries are included. Be part of the Borg Collective 'Resistance is futile'. 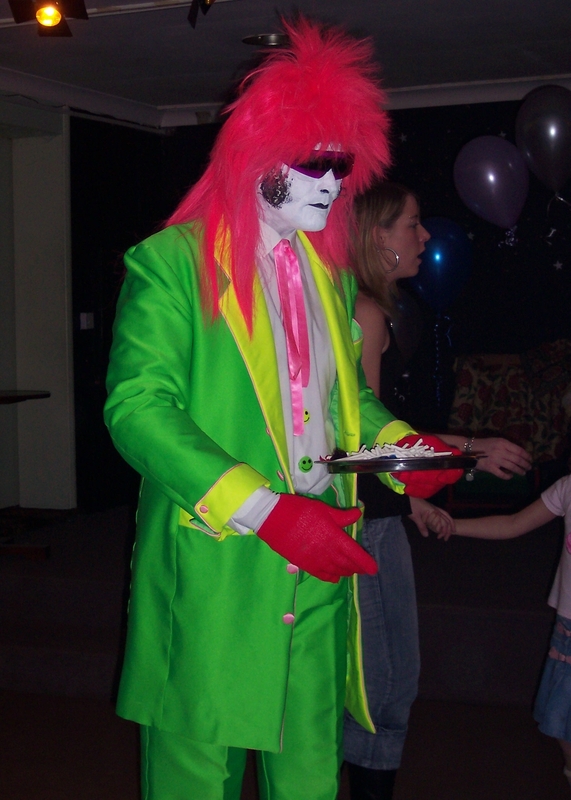 Mime-init is a Comical Character. 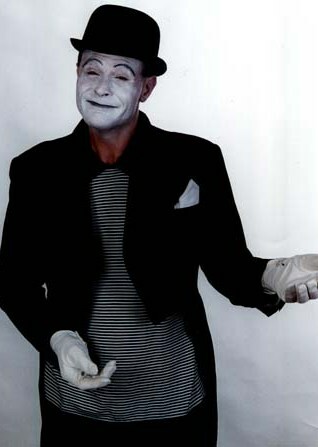 He uses sound effects and some mime humour to bring situations alive. The sound effects add a special touch to many comical situations such as an invisible door with a working door bell sound, or an invisible car with realistic horn and starting motor sound. If Mime-init reverses his invisible car, listen out for the BANG! and stay out of the way as you may get the blame for the invisible damage !